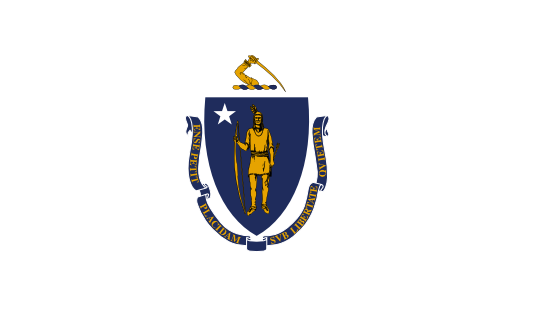 This report is all about wrongful termination claims and settlements in the state of Massachusetts. It is uncommon for good claims to go to trial, because they frequently reach settlement out of trial. However, if they don’t reach settlement, there might be a trial, where only one party will be the winner. Most of these lawsuits contain mixed verdicts, implying they implicated one particular, or a number of claims of unlawful termination due to whistleblower, sexual orientation, gender expression or gender identity discrimination, constructive discharge, workplace retaliation, firing in violation of public policy, race, color, national origin, religion discrimination, gender discrimination or age discrimination. The table listed below shows a snapshot of the various types of cases filed as well as their respective numbers in the state of MA in 2017. James Howell was the Superintendent of the Sewer Department from 1998 to 2005. At the age of 63, he was first placed on administrative leave, than terminated from his job. Alleging age discrimination and breach of contract, he sued the town for wrongful termination. His contract stated that he could only be fired with “good cause”, but the cause given to him were made up and superficial. The Sewer Department heads stated that they fired him because he used his town computer for personal things, like storing photos and his own business. Frank Mahoney Burroughs worked at an AutoZone location in Everett, MA. He had converted to the Sikh religion, and from that point on, he was the target of religious harassment by his supervisors, and customers as well. His religion also required him to wear a turban, but the company would not allow it, therefore not accommodate his request. He complained about the discrimination to the managers, but was ultimately fired. The chain of events starting with religious discrimination, leading to termination clearly violates Title VII. Sgt. John F. Brock was a police officer working for the City of Springfield. Brock starting becoming the victim of sexual harassment after his image was doctored onto the body of a woman posing in a sexual manner, and placed all around the police station. He told his supervisors about the postings, but nothing was done. Because of the hostile work environment, he started worrying that he might not get police backup if he ever needed it on the street. He filed a sexual harassment report with the Massachusetts Commission Against Discrimination, and later sued the City for retaliation, wrongful termination and sexual harassment. Cynthia Haddad had worked for the pharmacy of Wal-Mart in Pittsfield. She worked at the company for 10 years. She was fired from the pharmacy not long after she complained that she was getting paid less than her male counterparts. Wal-Marts reasoning was that she left the pharmacy unattended, at which time a technician used her security code to issue prescriptions. However, Haddad proved that male pharmacists had made this error as well, but were never fired for it. Jack Walsh sued Carney Hospital for wrongful termination and sexual discrimination under Title VII of the Civil Rights Act. Walsh’s co’workers at the hospital believed that he was gay, and harasses him about it. Walsh had never revealed his sexual orientation at his workplace. Paige Sprince was seriously injured in a car accident on her way to work at the ACT Teleconferencing offices in Boston. She needed time to recover, and her doctor cleared her for work after 1 month. The company refused to extend her leave of absence, and fired her. EEOC v Affordable Care, Inc. This wrongful termination lawsuit came about after 2 woman, who worked for a denture providing company in West Springfield filed a report with the EEOC regarding sexual and race discrimination, and retaliation. Ariede Mills and Laura Carl claimed that the company’s affiliated dentist, Nelson Wood, sexually and racially harassed the 2 female employees. The women complained about the harassment to management, but nothing was done to prevent it. Mills was fired in retaliation for her complaints, and Laura Carl was forced to quit due to the hostile work environment. When considering this list of wrongful firing settlements from Massachusetts, remember the fact that the large amounts of money are because of punitive damages, that are rewarded to discourage employers from carrying out the same type of inappropriate behavior. Punitive compensation is quite rare. Most lawsuits settle for anywhere from $20,000 to one hundred thousand dollars. This listing of wrongful firing settlements and verdicts in MA is intended for informative purposes. Even if you feel similarity to any of these cases, don’t forget that every case is different. What is the average wrongful discharge settlement in Massachusetts? It is understandable that you want to learn approximately how much money you could get for your unlawful termination claim. If you come to an agreement with the employer (or prevail in court), the figure you are given is largely dependant on the following: reason of termination, benefits lost, lost earnings, costs of finding a new job, medical expenses and mental anguish. Punitive damages may also be awarded in rare cases, if the company behaved egregiously. As you’ll notice from the sample claims described above, providing a median settlement for wrongful termination claims in MA is actually hard, given that every case is unique. The average wrongful termination settlement in Massachusetts is between $4,000 – $100,000. Legal professionals can be helpful while negotiating a larger settlement. The typical jury awards tend to be bigger, anywhere between $90,000 and $350,000. This is certainly one reason why companies like to come to a mutually acceptable agreement outside of court. Years of litigation, bearing the legal costs and possibly losing the lawsuit in the end can certainly be very expensive. If you think maybe you had been terminated for an illegal cause, here are tips on what to do. First, you’ll want to talk to a wrongful termination attorney in Massachusetts to find out whether you have a claim worth going after. Do not wait, because there are certain deadlines for submitting wrongful firing claims in Massachusetts. Next, you will probably need to submit a timely claim with the local EEOC office in Boston. Here are a few recommendations on filing a wrongful discharge claim.